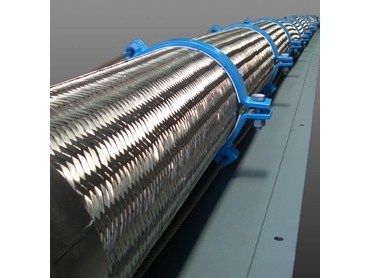 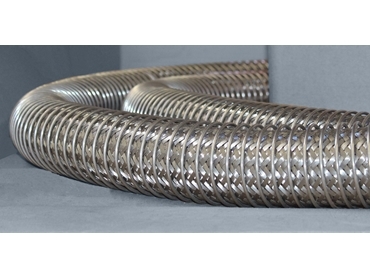 RADCOFLEX manufactures an extensive range of corrugated metal hoses, which are ideal for the conveyance of liquids and gases under pressure. 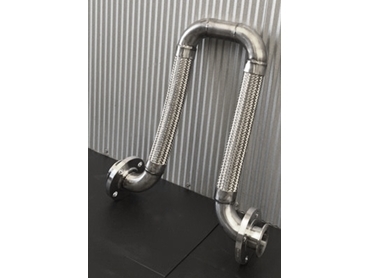 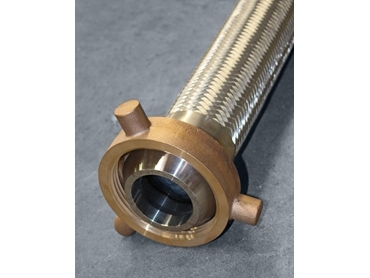 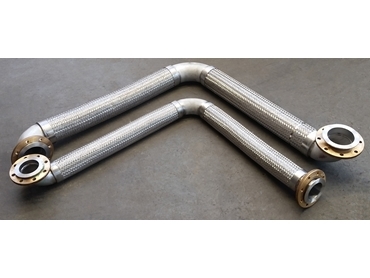 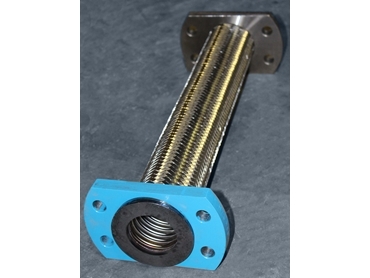 The corrugated metal hose flexes through the action and movement of the corrugations. 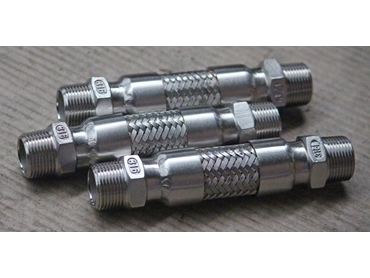 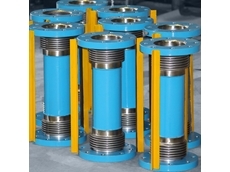 They are manufactured in stainless steels 304, 321 or 316(L), and Monel is also available with special orders. 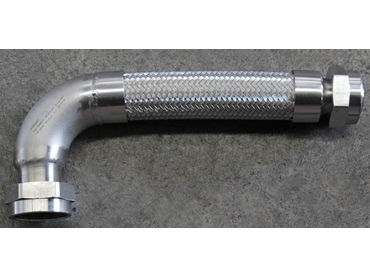 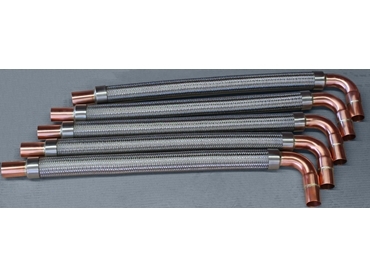 LOCOR: manufactured generally to the hose requirements of ISO10380 Type 2-10 – Corrugated Metal Hose of Average Flexibility. 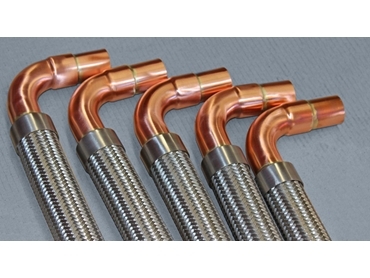 AGA approved. 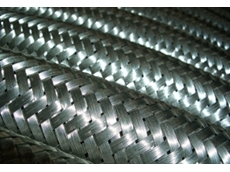 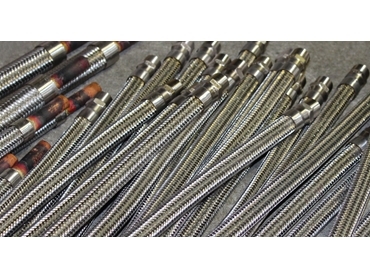 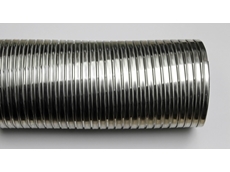 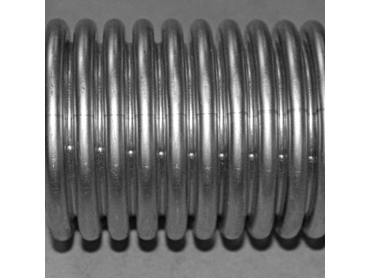 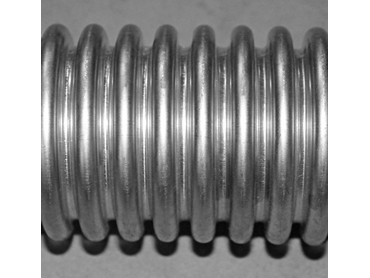 Wire braiding can be provided in stainless steel 304 or 316. 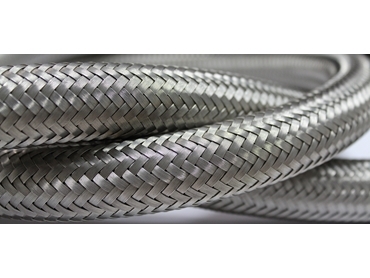 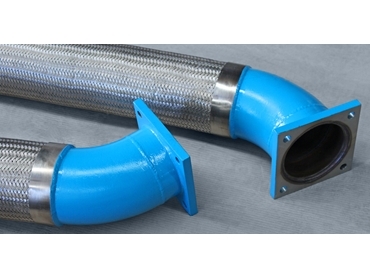 To enhance the appearance of automotive hoses. 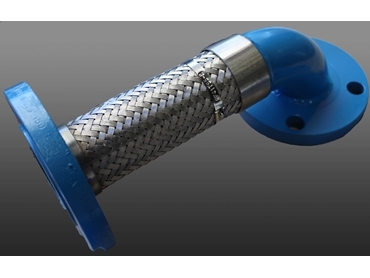 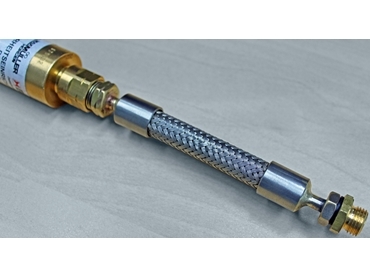 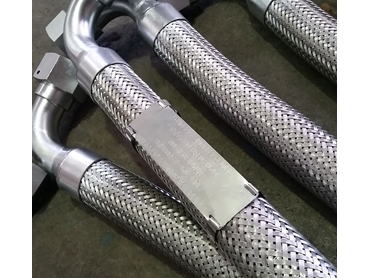 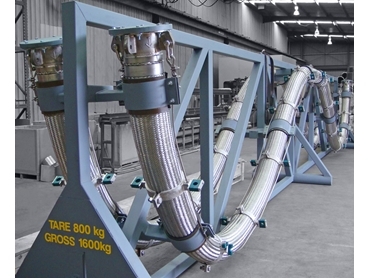 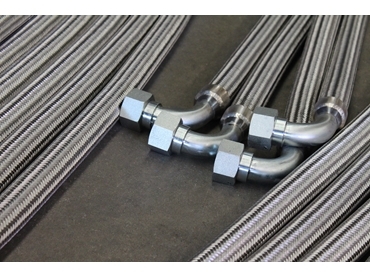 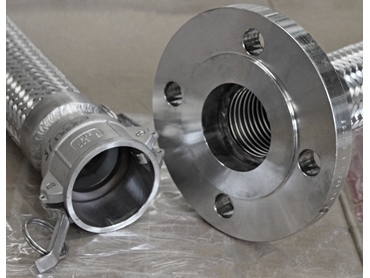 RADCOFLEX hose assemblies can be chemically cleaned for oxygen service, and hydrostatically or pneumatically tested and certified in accordance with Australian and International Standards, when specified. 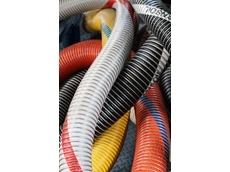 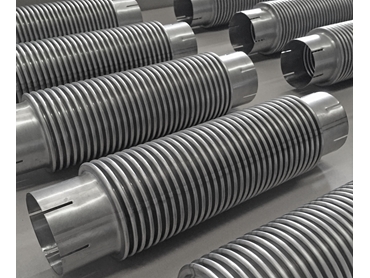 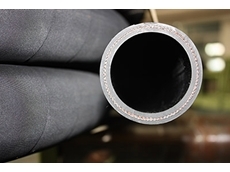 RADCOFLEX corrugated hoses, assemblies, and wire braids are manufactured in Australia in accordance with ISO 10380, and NAHAD Association guidelines. 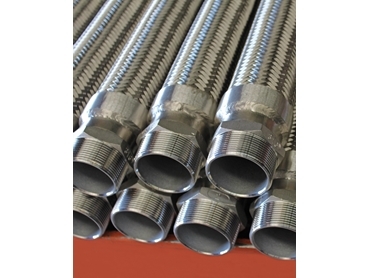 I was wondering if you make 4 1/2m braided bitumen hoses with threaded locking rings on both ends and if so what would the price be? 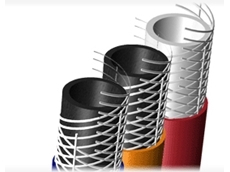 28/10/10 - PTFE is an engineering plastic resin in the Fluorocarbon group. 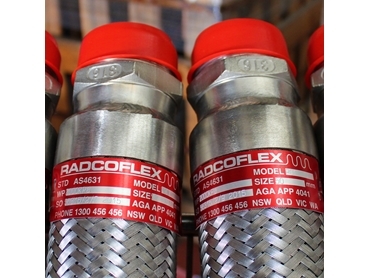 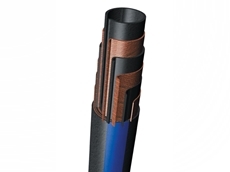 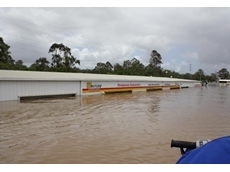 PTFE hoses are available from Radcoflex Australia.